Khushi Feet’s first fundraising concert in the USA took place earlier this year in New Jersey! Aakash Deep (New York based Indian musician/singer) and Shrabani Nandi presented ‘ANTORER ANTORALEY’ a uniquely designed music and dance concert to raise funds to support the education of street children in India. The concert was a huge success and raised $3602 (over £2000) for Khushi Feet. We are extremely grateful to our friends in the States for getting involved and supporting our cause! 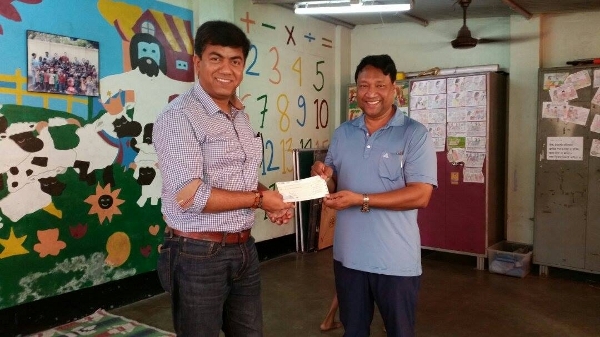 Aakash met with Subir Roy (Founder of the GNCEM street schools) in Kolkata to give him the funds in person. By a strange coincidence, Ask Mukherjee (the Indian dancer who choreographed for Khushi Does Bollywood in 2013) was also in Kolkata at the time, and paid a visit to the street schools to see their the fantastic work that they do. They had a great time singing and dancing with the children. 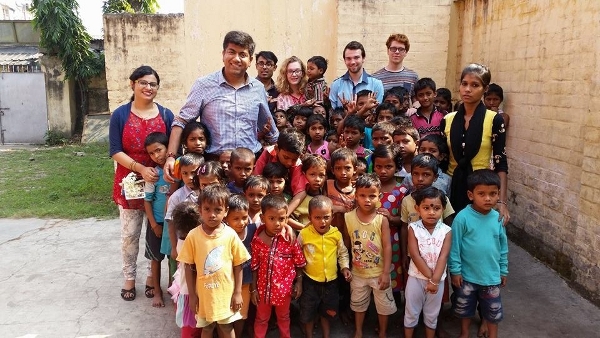 Thank you Aakash and Ash, for your continued support for Khushi Feet; we are delighted that you were able to experience the street schools for yourself!